Let’s face it, modern everyday life can be pretty busy. Between the necessity of work and the demands that come with family and friends, there seems to be so much pressure to do things. Time appears to be going by so fast (even speeding up) and very little of it is spent metaphorically speaking ‘silently smelling the roses’. However, I remember a simpler time when life was more relaxed, there my imagination ran riot and my dreams were a hair’s breadth from reality – and, so it seems with the CX-5, Mazda do too. The CX-5 first graced New Zealand streets back in 2012 and it became an instant hit. 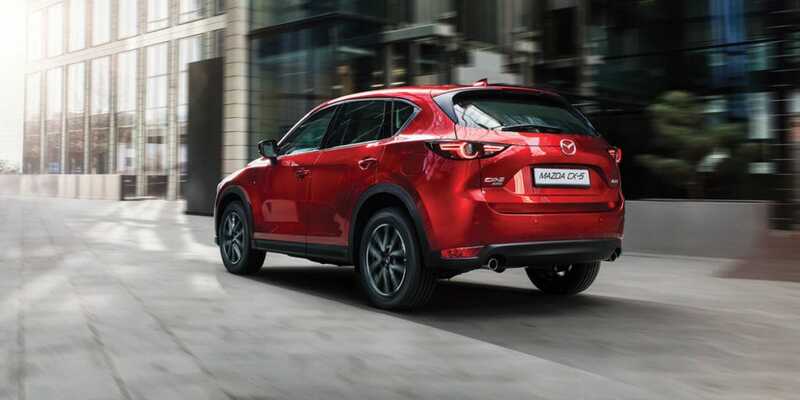 This category-leading, medium-sized SUV has won 90 awards globally (11 of them here in Aotearoa), holds coveted Car of the Year trophies and – as it introduced the world to the most excellent SKYACTIV technology – the CX-5 arguably kicked off Mazda’s current period of extreme success. However, not content to rest on its laurels, Mazda chose 2017 for the introduction of the all-new CX-5 and we were invited to the NZ launch to hear all about it. Commencing with a full vehicle briefing at Villa Maria Estate in Auckland, it was immediately plain to see that Mazda have taken all its learnings from the past model, added the gems of technology from their latest offerings (and bigger brothers) and served them up in the new CX-5. Fully embracing the Japanese craft ethos of ‘beauty by subtraction’, aesthetically the exterior is simpler, less dramatic than before. It has smoother profile lines, giving it more flow and a lower visual sense of gravity – in their own words it offers ‘one pure motion’. A chromed accent underlines the grille up front, with body-recessed headlights and a scooped bottom lip completing the Kao. Mazda believes that colour is an element of form and with that in mind, have introduced the new Soul Red Crystal body colour to the SUV. Its dynamic appearance is 20 percent more vivid, with 50 percent more depth and, depending on the time of day and light exposure, the lines are sharper while shadows are darker – trust me, it makes more sense when you see it in the flesh. Inside, the CX-5 has an enhanced premium feel. The symmetry around the driver has been elevated, as have the seating positions. Mazda has removed the hard plastics and replaced them with richer materials and more refined finishing, like real French stitching – all in all, nearly 100 parts have been focused on and the difference is very apparent, even the ‘A pillars’ have been moved back 35 millimetres to offer greater visibility. Then comes the technology. Aside from the raft of goodies that Mazda have as standard (model-dependent), you get i-Activsense (the myriad of safety aids under the watchful eye of radars and cameras), i-stop (start/stop) and all models get GVC (G-Vectoring Control). The steering and handling improvements that come with GVC make cornering a breeze for both driver and passenger – say goodbye to travel sickness. Believe me, it’s worth grabbing one for a test drive just for this! With the choice of petrol or diesel engines, GLX or LTD specs and a wide range of colours, we opted for the Soul Red, top spec 2.5-litre petrol (140Kw/251Nm) and headed to Bracau for lunch. The lack of road noise interference is very noticeable – or not, as the case may be. The Mazda team has worked diligently on the NVH (noise, vibration, harshness). Conversations could be had without the need to raise your voices and the lack of ambient noise reduces driver fatigue (there was a little bit of feedback sound coming from the tyres, but certainly nothing to SHOUT about). The trip to the restaurant was purposely obscure and gave us plenty of time to get a feel for the all-new vehicle. At 4.55 metres long and 1.84 metres wide, this SUV has quite the kerb presence and yet behind the wheel and on the road it feels almost sedan-like. Front and rear seats are as comfortable as the ride itself, which has a spritely feel about it (especially off the mark) as the acceleration responds intuitively to the amount of pressure on the accelerator, smoother with a slight push, harsher when you stab at it! After lunch and with a belly full of sumptuous nosh, we headed for an overnight stay in the Coromandel, which meant (thanks to an impressive drive route) a vast array of country roads, plenty of corners and a fair share of ‘traffic ticket territory’ long straights to stretch the SUV’s legs. For this journey, we changed to the same LTD-spec’d CX-5, but in a more torquey 2.2-litre (129Kw/420Nm) diesel and, as it turned out, my favourite of the range. The longer drive allowed us the chance to fiddle with the switches and explore the SUV’s ‘driver concentric-ness’. The head up display is bright and colourful and ‘reads/displays’ road signs – saving you the trouble. Instrumentation is clear with menus that are in-depth and informative. Infotainment is positioned on a central screen with Bose supplying the top-quality sounds and throughout the drive, theengine felt strong, particularly going over the hills and around the bends of the Coromandel. The GVC handling aid ensured a more vibrant drive even when braking was kept to a minimum (and lunch remained un-regurgitated too!). It was a case of all smiles when we arrived refreshed at the lodge. So, my advice: when the pressures of your busy and often complicated lifestyle get a little too much, take a moment to explore the new CX-5. Run your eye along the purity and flow of its uncluttered bodywork, before you slip inside the luxurious isolation that comes from a human-concentric cabin, the ideal place for quiet reflection. Pause for a breath before a push button start then, quite simply, drive your stresses away. Okay, that may seem a bit over the top, but there is a hint of an emotional connection that comes with the CX-5’s Jinba Ittai concept of unity of horse and rider.